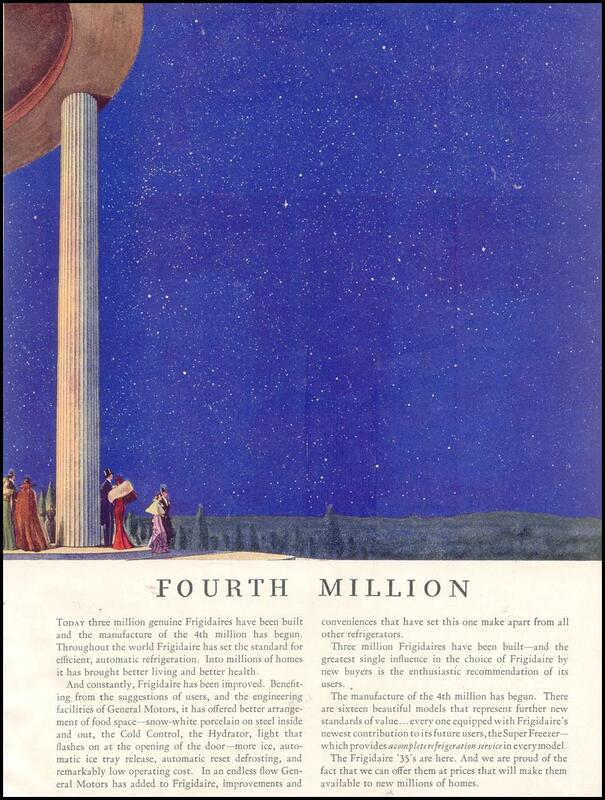 Ladies and gents in formal finery, strolling about colossally-scaled architecture with the endless heavens glittering above: that's quite an image to commemorate even a landmark achievement [three million and counting] in the production of Frigidaire refrigerators. 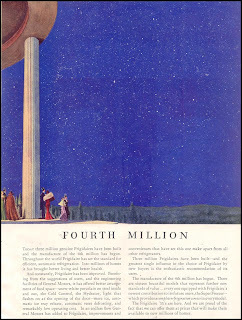 The text of this ad is no less operatic; click the image to read it. While this 1935 vision of the future might seem overblown by today's standards, it does serve to remind me of how very important innovative, optimistic thinking is during challenging times. Maybe as we head into a new year, we could all do with a bit of hopeful star-gazing. Cheers, dear readers, and thank you for your companionship—past, present and future.